We are a premier company in casting top class Stainless Steel LPG Stoves. As the name signifies these stoves utilize premium quality stainless steel in construction. These have rough and tough design and have eye catching first look. These Stoves are praised for their high fuel efficiency and fast cooking. These are very effective against wear and tear with time. 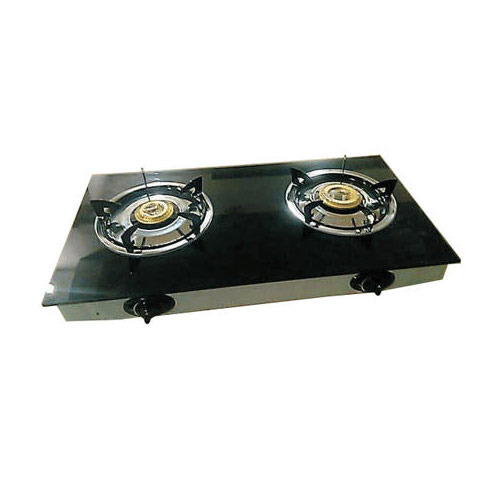 Easy operation of these stoves leads to higher demand among our clients. D. Solanki Industries is basically a sole proprietorship which is engaged in the manufacturing, supplying and exporting of Gas Stoves, Kitchen Cookwares, Kitchen Cookwares and many others. Also, it was established in the year 2012 at Bengaluru in Karnataka, India. As we are client oriented company, so our primary objective is to satisfy the clients completely by offering them superior quality products as per the demands and requirements of the clients. Also, we believe in the ethics and principles of business that we follow on regular basis while performing any business task and activity. This is the main reason behind the success and growth of our company due to which we are able to achieve a huge client base. Moreover, the quality of our goods is world class due to the quality controlling policies and strategies we follow. On the other hand high grade material and advance technology is used in the manufacturing of these products which satisfy our clients completely.